Crystal clear plastic cup. 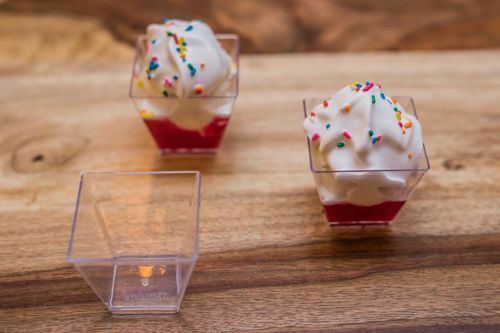 Plastic "to-go" Cups for bakeries, hotels, caterers, airlines and ice cream shops. The perfect packaging to enhance and protect your creations. Our patriarch, late Mr. Mahipal Vijaychand Sariya, started an injection molding manufacturing unit in 1949 in Bombay. Since then our family owned business has grown leaps and bounds. We established ourselves at several locations across India - Baroda, Nagpur, Belgaum and Baddi. Malwa Polyplast started operations in Indore in 1995 as an injection molding unit.